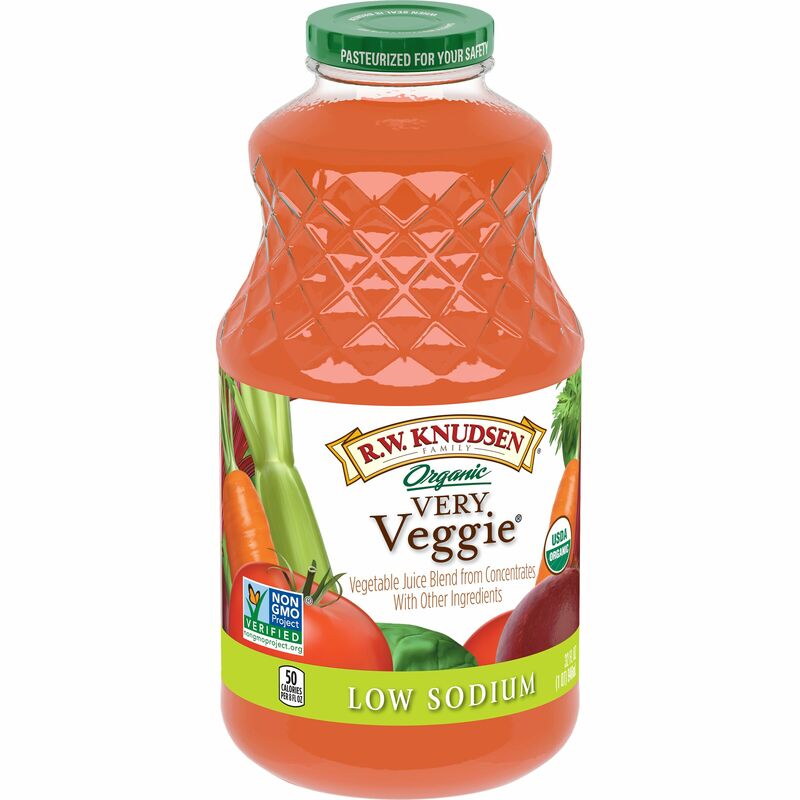 Vegetable juice blend from concentrates with other natural ingredients. Not a significant source of saturated fat, trans fat, cholesterol, added sugars and vitamin D.
Filtered Water; Organic Tomato Paste; Organic Carrot And Organic Celery Juices; Organic Grain Vinegar; Organic Lemon Juice Concentrate; Organic Parsley And Organic Beet Juices; Organic Dehydrated Green Bell Peppers; Organic Lettuce, Organic Watercress And Organic Spinach Juices. Carrot juice is the opaque juice from carrots, a root vegetable; carrots are usually orange, but purple, black, red, white and yellow varieties exist. Celery juice is the vegetable juice of ground and pressed celery, a green vegetable with edible leaves, stalks and seeds.